5* x 2 new lovely pots. Happy sunday, Cory !!!! 5* x 5 new lovely pots. Happy weekend, Cory !!!! 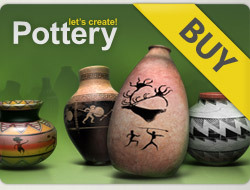 6 x 5***** for your 6 new fantastic pots! Beautiful creations, Cory. Five deserved stars for all pots. Welcome to Lcp !!!! Cory, you have a fantastic gallery. I just voted on all your first 5 pots with 5⭐️ stars! I'll be glad if you can leave stars on my pots you liked. Enjoy the game. Lovely gallery! 4 x 5***** for your beautiful pots!